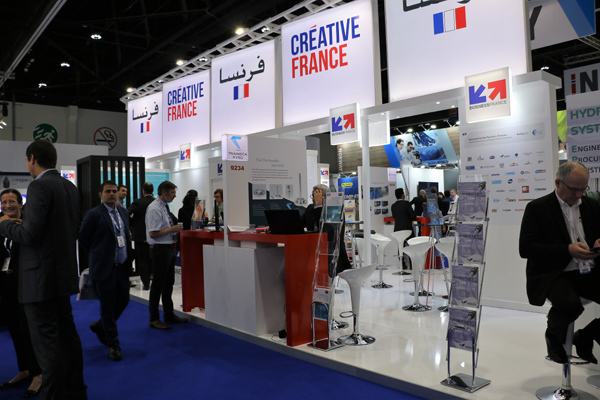 Business France, the national agency supporting the international development of the French economy, is launching the first French pavilion at OGWA 2018, the oil and gas sector’s largest event in Oman. With 300 exhibitors confirmed, and aimed at receiving 11,000 visitors, OGWA is the ideal springboard for French companies keen to tap into the potential of the regional market. The event will take place from March 25 to 28, at the Oman Convention & Exhibition Centre, Muscat. A renowned list of leading French oil and gas companies will be represented in the pavilion extending the latest knowledge, technologies and business opportunities to the attendees, said a statement. The expertise, technological skills and innovation capacity of France’s firms continue to reinforce the international reputation when it comes to supporting the oil and gas industry, placing the country high in rankings of European exporters and a desired partner for regional initiatives, it said. In France, the oil and gas sector is fuelled by excellence with one or two global leaders in most segments. Major players such as Total which operates alongside numerous suppliers of equipment and services to the industry, will be one of the main exhibitors. Many other global giants such as CGG, and Technip will also be present, it added. Generating 27 per cent of the country’s gross domestic product (GDP), but contributing 70 per cent of its budget revenue, the hydrocarbon sector remains a key driver of Oman’s economy, in spite of an active policy of diversification. Despite the oil crisis, the government has maintained its ambitious investment and production targets (which it intends to attain through the use of the latest oil production technologies), with the country exceeding the one million barrels per day threshold for the first time in its history in 2016. Now more than ever, the sultanate is seeking to expand its activities both upstream and downstream, and to also develop its expertise in the two sectors. These are compelling reasons for French specialists to be present at OGWA, to learn about the country’s potential and identify prospective partners and end customers, said a statement.